We wanted to take a moment to reflect and give thanks to all of our Glorious supporters for how far we've come. THANK YOU! Despite all the odds and obstacles over the years, Alice has stood firm in her conviction that her community deserved better. She decided to take charge and tackle the issues she saw head on that orphans deserved a home, an education and to be surrounded by love. That all children, women and men deserved access to food, clean water, education, shelter and employment opportunities. For the past 7 years, we have worked in partnership to provide daily meals, education, water access, job opportunities and more to a community left without support from its government. We are not done yet and we will not stop until Alice’s dreams are realized. When we met Alice in 2009, she had a dream to build the best school in Tanzania in order to uplift her community. For the past 7 years, we have taken many steps forward, each one bringing us closer to making Alice’s dream a reality. For the next two weeks we will be highlighting some of the dreams we’ve had come true along with the supporters who made them possible. Dream #1 - Feeding Program! Back in 2009, there were 32 children that came to Alice’s home each day for food and daily lessons. 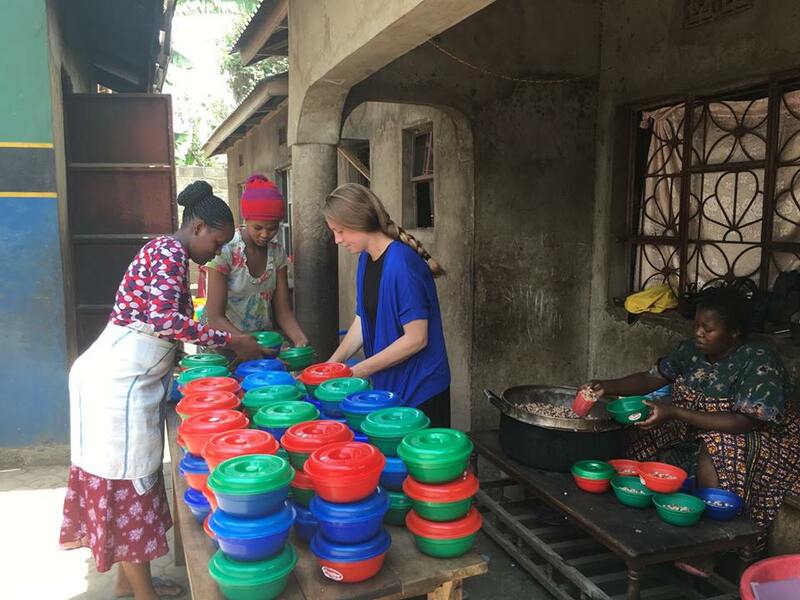 Thanks to the support of many donors, we’ve been able to fund these meals along with a new kitchen with cooking stoves and have been able to keep up with Alice’s dream of expanding access to quality education to more vulnerable children. Today, Glorious provides around 3,500 meals per week to 300+ students and 40 staff members. As we work towards becoming completely self-sustainable, we have started growing more and more of the food ourselves, creating more jobs and cutting down the cost and dependence on external support. When Alice started Glorious, she believed that one day, her small backyard operation could become one of the best schools in Tanzania. Alice had a huge dream to uplift her community that extended far beyond the 32 orphans she was already caring for. To begin, one supporter stepped up to help fund our very first classroom, and since then, and with the help of many other supporters, Alice has subsequently realized her dream by building 8 additional classrooms. Glorious has been able to provide a well-rounded, quality education and was recently named the #14 school in the region, making us well on our way to being #1 one day! Dream #3 - Water, Sinks & Bathrooms! When Glorious first started, our children and community had to travel far for access to clean water. In an effort to bring clean water to the Glorious community, we first implemented plumbing, but quickly discovered that the once or twice a week that the water would come wasn’t cutting it. We later installed a water tower that currently provides clean water to all of the students and staff at Glorious. It also acts as a community well, providing water at an affordable price for around 150 families per day. All profits from bucket sales pay for the electricity at our school. Having the well also allowed us to build sinks, with enough running water to wash all of our kiddos’ hands! Lastly, one of our most important dreams we’ve accomplished was building bathrooms – ensuring that all of our children and staff can go to the bathroom in a clean, safe and dignified place. Dream #4 - Orphan's Home! Last year you helped us purchase a new home for 15 orphans and helped us invest in a project to support and care for the children sustainably. Glorious was confronted with a huge problem - a group of 15 orphans that Alice had taken under her wing earlier in the year were being forced to find a new place to live within a few months. She located a house near our new campus where they could live and reached out our donor community to help purchase the house, ensuring that the kids will never have to worry again about having a place to live. Our amazing supporters answered our call to action and within the short amount of this house became a home for an untraditional little family. The next step was finding a sustainable solution to cover the costs of taking care of the kids on a day-to-day basis. 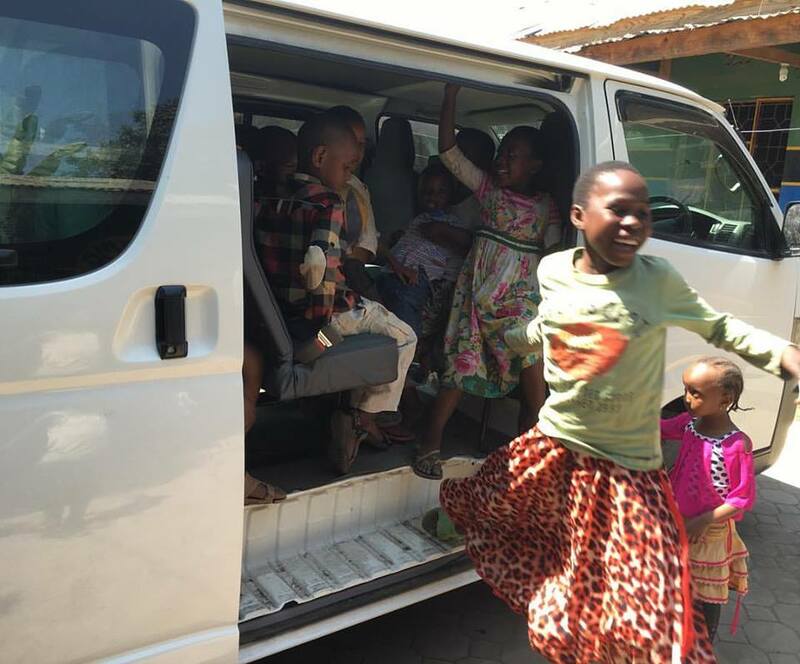 Again, our supporters rose to action and helped us purchase a small shuttle bus (Dala Dala) that generates profits to sustainably support caring for the 15 kids. Because of your outpouring of support, we are able to ensure that the children are living in a home filled with love & care and that each one of them has a fully belly before bed, and an education that will pave the way for a better future. Dream #5 - Our Community of Supporters! Merry Christmas & Happy Holidays to our Glorious family! On this special day, we would like to thank each and every one of you who have supported us in helping us reach our dreams over these past 7 years. Because of your support, we will #neverstopdreaming! Dream #6 - Strong Women Leaders! As Glorious has continued to grow, so has its impact on the community. Years back Alice had a dream to support women in her community through micro-enterprise. To date, over 25 women have benefited directly from a micro-loan or from our beading project that have enabled a ripple of impact to their families. As Glorious continues to grow, its main focus is to make the school sustainable through income-generating initiatives. With more and more students paying school fees, plus the income generated from permaculture, livestock projects, sustainable farming & our school bus, Glorious has grown to be able to cover 58% of the school’s day-to-day operational costs locally. Dream #8 - Mama Hope Partnership! Last year we formed a partnership with Mama Hope and we are so grateful for the impact they have had on our organization! So far, we’ve sent three Global Advocates to Tanzania to partner with Alice. These advocates raised money to fund the school bus, the second campus, a water project, the security wall and our school store. We will also be sending another Global Advocate over to Glorious at the end of January and we are so excited to see what she will bring to the table! Dream #9 - Femme International Partnership! Back in April, Alice & Julius met with Femme International in hopes of starting to implement feminine health clubs at Glorious so that no girl should ever have to miss out on education because of something as natural as her period. In May, Femme International ran sessions with 40 girls and all of the female teachers at Glorious. They were all taught about menstruation and given packs with everything they need to deal safely with their periods. We hope to continue to run sessions like these and train all of our teachers so that they can continue to educate our girls in the years to come! Here’s to making sure our girls #neverstopdreaming no matter what day of the month it is! Dream #10 - New Classroom Block! For the next 6 years, we will be running campaigns to raise money to complete Alice’s dream school. The next step will be starting the construction of a new building, housing 24 classrooms, that will allow her to take in more orphans and paying students alike. This school will serve as a center for the community providing quality education to hundreds of children and jobs for dozens of men and women. We are starting first with 2 classrooms, a priority for us to ensure that the first students who started with us back in 2009 out of the small wooden shack, can continue their studies at Glorious and not another school. Glorious is a US based 501(c)3 organization registered in Boston, MA. All donations to Glorious are tax-deductible and donors will receive a tax receipt upon donation.